Designing cover art for a book can often be a challenge, even more so when you’re painting the images yourself! 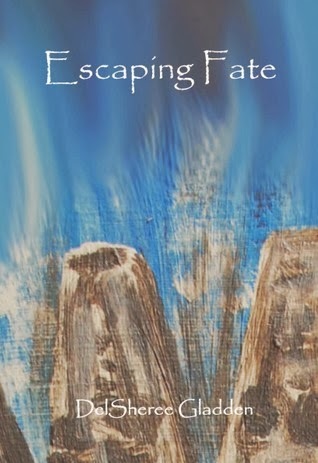 I did the original painting for Escaping Fate several years ago when Escaping Fate was first published. 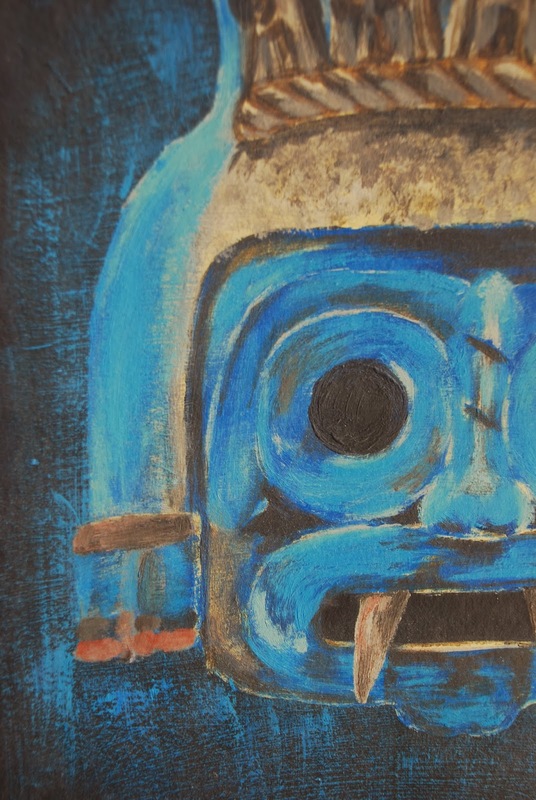 I ended up not liking the full image as the cover and instead went with a very abstract portion of the painting. Soul Stone is currently out being beta read and will soon go into rewrites, but at the same time I had to rethink the cover art so I could find something that could be incorporated into a series. So…back to the original painting. This is the original painting. 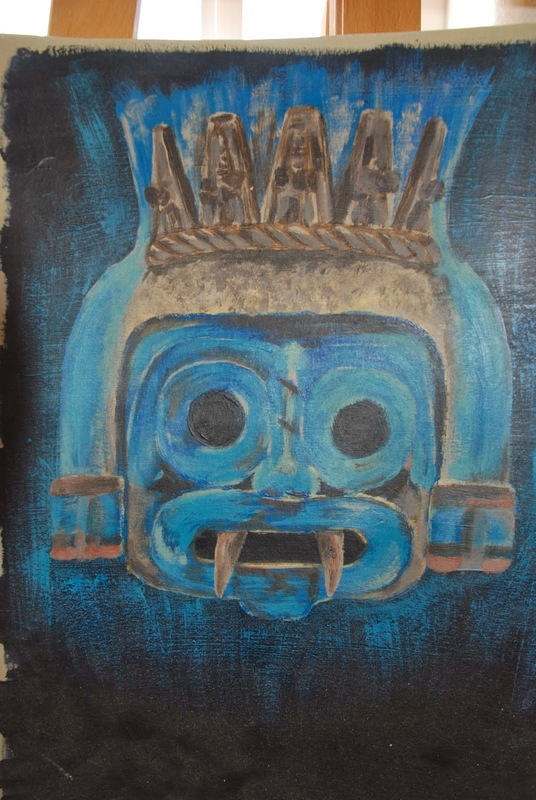 I based the painting off a pottery design for the Aztec god Tlaloc. But still…I didn’t like the full image for the cover. 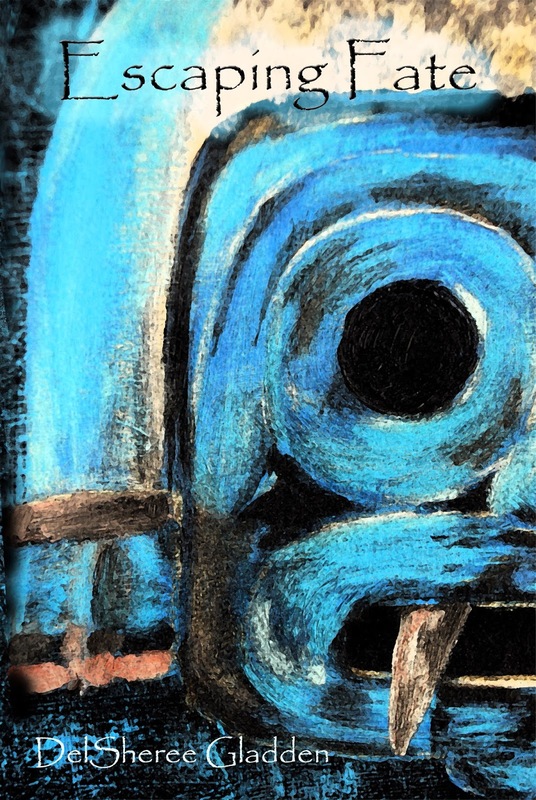 So, I tried using a portion of the image, but not so abstract as the original cover design. This seemed to fit much better, leaving some to the imagination and creating intrigue. But the coloring wasn’t quite right. It was clearly time to break out Photoshop! It took some layering, some effects, and some color alterations, this is what I came up with! 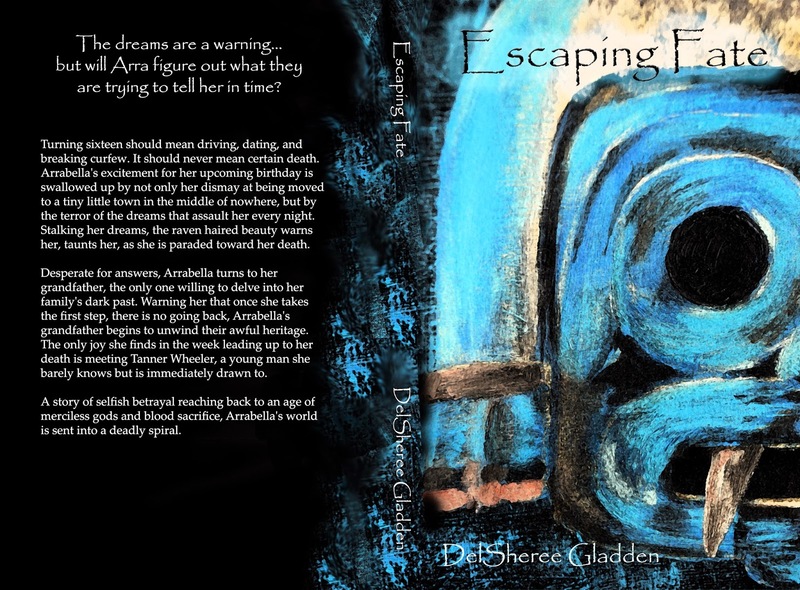 Escaping Fate is now available exclusively on Amazon as a paperback and Kindle Ebook. You can also get a sneak peek of book two, Soul Stone, at the end of the book. Next Post Escaping Fate is FREE on Amazon! Very cool painting! Interesting to see how this cover was developed! Great cover, Sheree! I love how it developed. Very cool. Thanks Linda! I've got to find some time to start painting the cover for book two!